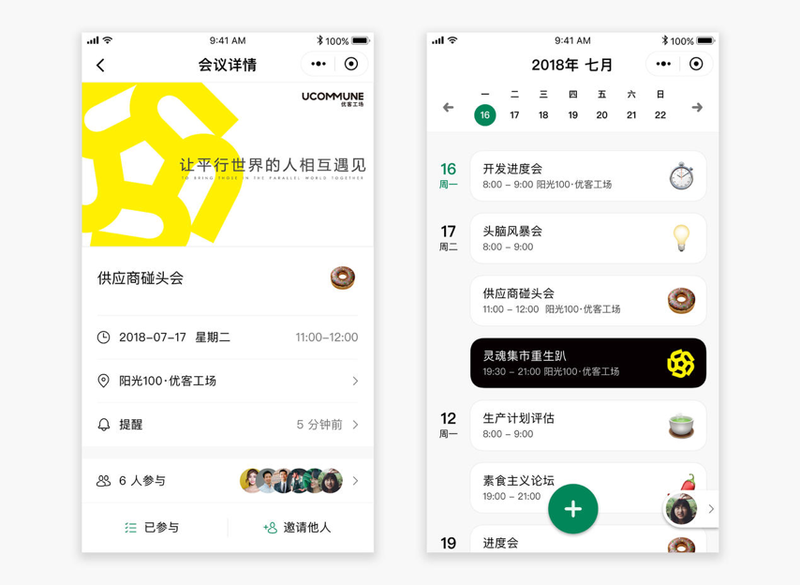 Beijing November 6 – ucommune, the largest co-working firm in Asia, announced that its subsidiary, Rocket Technology, had launched the WeChat mini-program, Rocket Calendar. This marks ucommune’s first foray into the field of Business SNS, a big step in the transition from a traditional business service provider to an Internet platform-as-service enterprise. Rocket Calendar is a powerful calendar and social activity management software. It helps users manage their calendar quickly and conveniently and lets multiple users coordinate activities simultaneously. Calendars based on e-mail protocol—Office, Google, iCloud—have a wide range of applications. They are convenient, fast and effective, and greatly improve efficiency and time management. However, in China, thanks to WeChat and DingTalk, software based on mail protocol alone cannot meet users’ demand, and so far, no one has tapped into that market. That is, until the emergence of applets made Rocket Calendar possible. Currently, independent app tools, where communication across organizations and companies must be based on the same platform, are making the typical business and social schedule management informal and difficult. Take business development, lectures, product launches, and after-hours entertainment activities within ucommune as an example, and you can see there are major pain points in schedule management and notification. Rocket Calendar will continue to be updated to help users solve these problems. In addition, Rocket Calendar will innovate based on the unique conditions of the Chinese market, which is driven by the rapid development of the mobile internet. 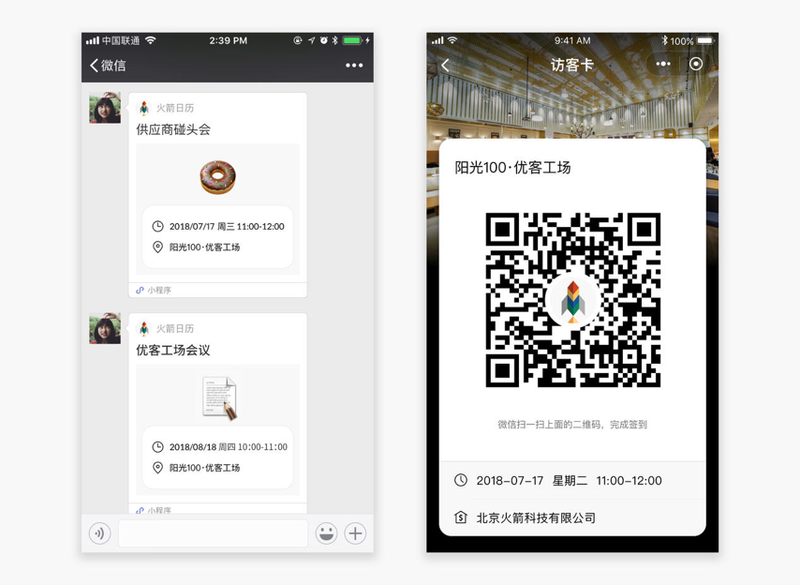 Rocket Calendar will offer executive visitor registration management and conference reservation services to ucommune and its main partners, making it possible to coordinate visitor information management, identity authentication and other needs in the enterprise terminal. Meanwhile, the calendar allows for a customized version which integrates the enterprise brand, marketing, enterprise visitor management, and business and social networking. This empowers ucommune and resident enterprises, and marks an upgrade in the coworking firm’s enterprise services. After the launch of Rocket Calendar, ucommune will continue to integrate the Internet with smart technologies. This process will allow ucommune to provide more comprehensive service with better quality for a wider range of users both inside and outside the existing system. At present, ucommune has become the largest co-working space in Asia and a strong brand in the Chinese co-working space industry. It has 200 co-working spaces in37 cities around the world, nearly 15,000 enterprise members and hundreds of thousands of individual members. Ucommuneis the first unicorn in China's coworking industry and the heart of China’s mass entrepreneurship and innovation movement . Setting the benchmark for office-sharing brands, Ucommune has deployed 180 shared office spaces in 35cities around the world, helping nearly 10,000 member companies realize their dreams. In addition to NYSE-listed Liulishuo, Ucommune’s members also includeKEEP, Logic Thinking, JoyRun, ByteDance, Kuaishou, Tiktok, Bilibili, Zhuguagua,ofo, and mobike.